Legal matters can be emotionally difficult unless one has an aggressive, intelligent, and vigilant lawyer who understands the legal system and who can be trusted to work diligently for his clients. Kyle Bristow is that attorney. He has been endorsed by over 170 attorneys and is rated as a 10.0/10.0 "superb" attorney on Avvo.com—the highest rating of that website—; he received the coveted "AV Preeminent" lawyer designation from Martindale-Hubbell in 2019, which signifies that a large number of Kyle Bristow's peers rank him at the highest level of professional excellence for legal knowledge, communication skills, and ethical standards; he has been rated by Super Lawyers as a Michigan "Rising Star" for two years—2016 and 2017—, no more than 2.5% of lawyers earn that designation in a given year, and he is one of only 40 attorneys in Michigan to receive that peer-reviewed award in 2016 in the area of family law and only one of 47 attorneys in Michigan to receive it in 2017 in the area of family law; he was named a “Top Lawyer” by DBusiness magazine in 2017, 2018, and 2019, and he is only one of 20 attorneys in Michigan to receive that peer-reviewed award in 2017 and 2018 in the area of appellate law and one of 35 attorneys in Michigan to receive that award in 2019 in the area of family law; he was added to the "Best Lawyers" directory by U.S. News & World Report in 2018; he received the "Client Champion - Platinum" designation by Martindale-Hubbel in 2019; he passed the Ohio and Michigan bar exams on his first attempts with high scores; he pioneered an area of personal injury law before he was a licensed lawyer for a year that resulted in him being interviewed or articles being published about his work by USA Today, The Wall Street Journal, The Detroit News, The Detroit Free Press, The Macomb Daily, American Bar Association Journal, Marie Claire magazine, Time magazine, Michigan Lawyers Weekly, CNN, MTV, FOX News, CBS, WXYZ, FOX 2 Detroit News, and Katie Couric's Katie television talk show; and he acquired invaluable experience through numerous legal undertakings for which he earned a well-deserved reputation as a fierce, knowledgeable, and persistent advocate for his clients. 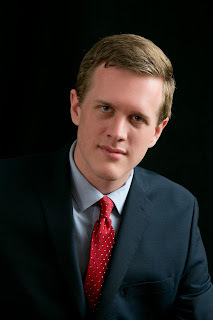 A nationally recognized First Amendment litigator, Attorney Kyle Bristow has assisted with procuring major legal victories ultimately resulting in the governor of Virginia declaring a state of emergency, the governor of Florida declaring a state of emergency and mobilizing the Florida National Guard, and two Michigan SWAT teams being deployed to maintain order at the high-profile events of his clients. Kyle Bristow counts among his clients one man who ran for United States Congress and two men who ran for United States Senate. Bristow Law, PLLC, proudly serves the people of Ohio and Michigan. Attorney Kyle Bristow primarily practices in the areas of criminal and juvenile defense—misdemeanor and felony—, family law, civil litigation, and appeals. Kyle Bristow's goal is to protect his clients' legal interests through competent and aggressive representation and to provide outstanding customer service at reasonable rates. Please peruse this website, and if you have any questions or would like to schedule a consultation, feel free to contact Mr. Bristow at your convenience. Kyle Bristow welcomes inquiries from all prospective clients, but please note that the information you obtain on this site is not, nor is it intended to be, legal advice. All visitors to this website are strongly encouraged to consult an attorney for advice regarding any legal problems that they may have. Mr. Bristow welcomes your phone calls, letters, and email, but please understand that merely contacting him does not create an attorney-client relationship. Please do not send any confidential information to Bristow Law, PLLC, until such time as an attorney-client relationship has been established. Copyright © 2019 Kyle Bristow, Esq.